These photos were taken when I was 6 months pregnant with my daughter. 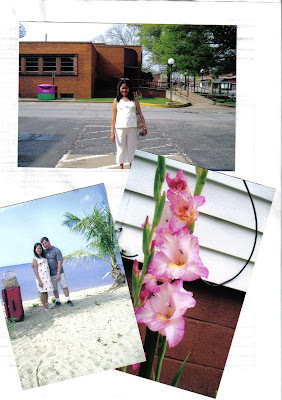 Bottom pic was taken at our place in Donsol during my husband's last visit to my family, top picture was taken in front of Weirton Public Library, 2 days after my arrival in West Virginia. 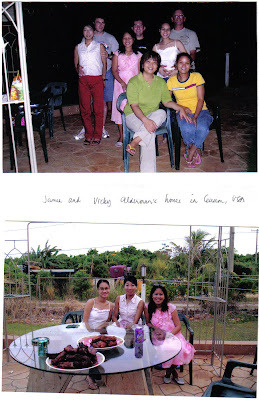 These set of photos were taken in Guam on May of 2006, our friends there gave us a farewell party before we flew to the mainland US. 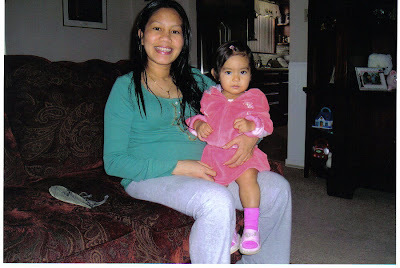 This picture was taken when I was 8 months pregnant with my son, taken inside our home sweet home in West Virginia with my daughter Rylie.. Shared infos: I delivered both of my precious ones through Cesarean Operation. Urgggghhh! Now I am tagging all the following mommy's to show off their preggy figures... Demcy, Ate Weng, Malou, Rosa, Leslie Ann and all the Mommy bloggers. Just for fun guys, show it off to the world wide web..